6 Batman Video Games We Want Announced Next | Nerd Much? Admittedly, I’m one of those people who doesn’t believe he’ll ever get tired of Batman. There’s something about the Dark Knight that keeps me wanting more and more content (which is why we didn’t mind having so many Arkham games). He wasn’t bitten by a radioactive bat, nor does he have any super powers of any kind, but he’s still considered a superhero. It’s entertaining to see the every man play the hero and take on that burden. Even with the vastly different style of gameplay we saw with the Batman: Arkham Knight release, we can see the world of Batman-based games growing stale. 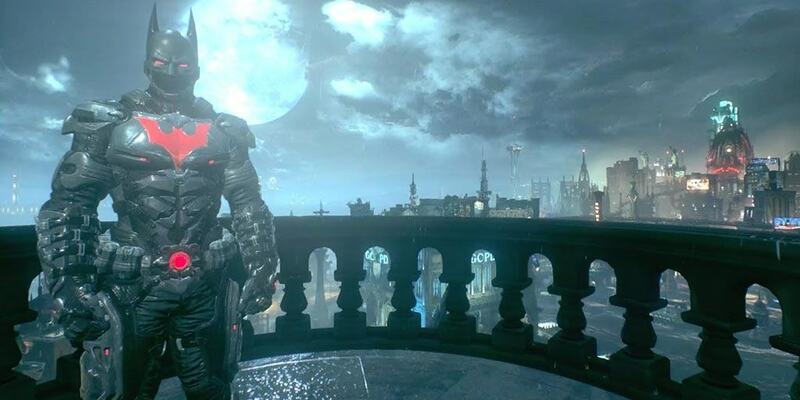 Not that Batman: Arkham Knight wasn’t a great and memorable game — it was — but it was the third game in a row set in the same-looking Gotham City. 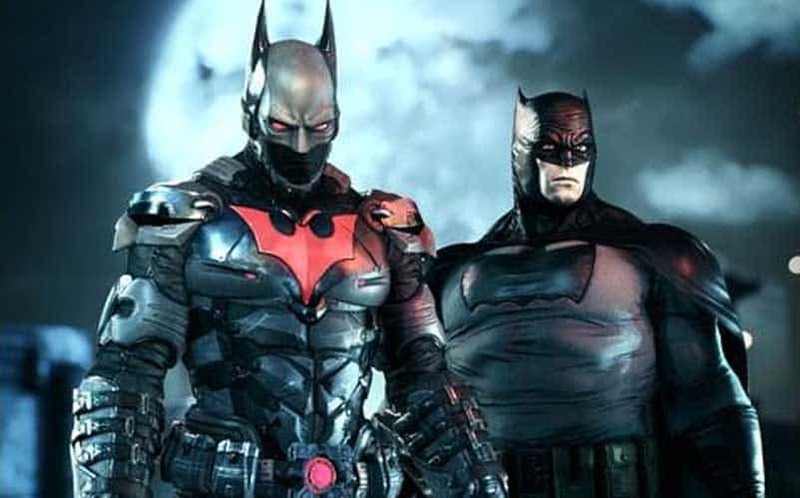 But it doesn’t have to be that way; there are plenty of new directions and ideas that could make a new Batman video game feel new and, most importantly, fun again, and a couple of the ideas below could even tie into the mysterious Knightfall Protocol ending we saw in Arkham Knight. It has been nearly 15 years since the final episode of the Batman Beyond animated series originally aired, and we’re thinking it’s time for a revival via video game. The story of Terry McGinnis as Batman was a welcomed change to the Bruce Wayne Batman we were used to, especially as it was set in a cyberpunk future Gotham. 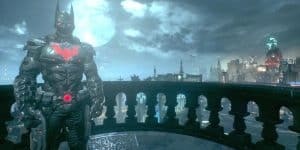 With the incredible set pieces we’ve seen via Rocksteady in the Batman: Arkham series, it’s probable that the developers could create a badass futuristic Gotham that is both believable but feels completely new — which is something Batman games need now after the trilogy. 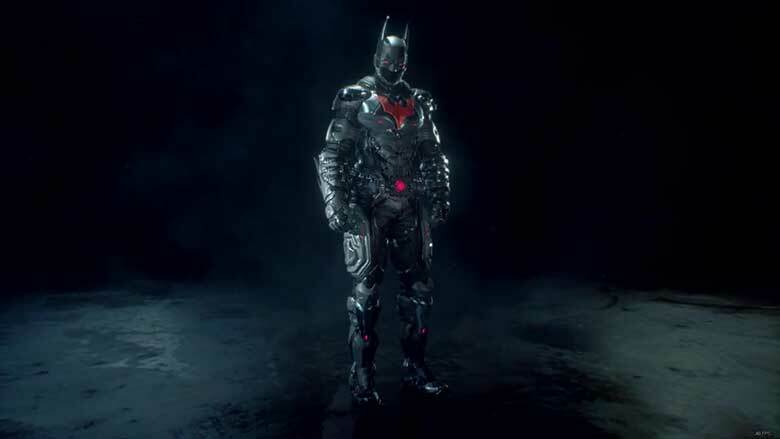 We’re not saying Rocksteady has to be the developers behind a Batman Beyond game, we’re just saying that they’d probably be the best choice. Another great way to change up the Batman games so that they’re not set in the Gotham city we’ve already played three times now is to set the new game in Blüdhaven, the town created as a backdrop for Nightwing in the Nightwing comic series. The city is just south of Gotham, and is basically where Nightwing fights his villains. 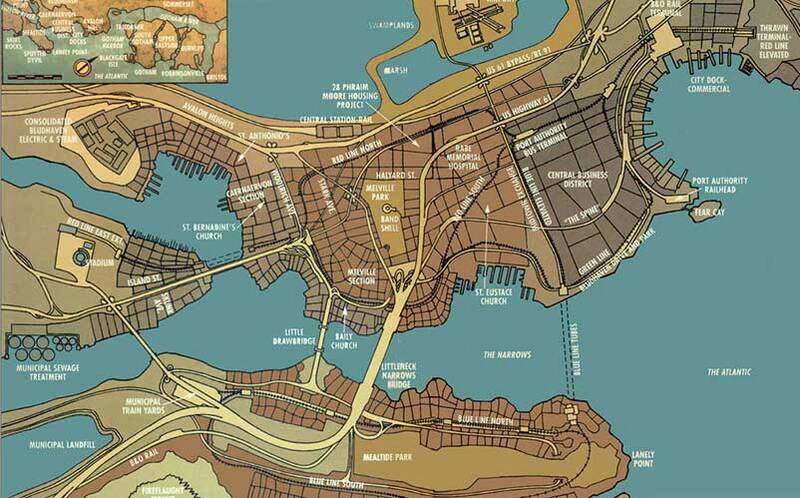 It’s filled with unique villains and corrupt officials like Gotham, but it would be an entirely new area for us to explore. It doesn’t have to be a Nightwing game necessarily, although we’d be all for that. It could be a tale of Nightwing gone missing and Bruce trying to track him down in a rescue attempt. Or, it could simply be a Nightwing vs. Blockbuster game. There’s also the possibility of having Robin, Batgirl and Nightwing all protect Blüdhaven (which has been done in the comics). Another interesting take on Blüdhaven could be a tale following the Infinite Crisis series in which the Secret Society of Super Villains drops a giant pile of chemicals on the city creating a chemical fallout, as Nightwing and co. try to find a way to search for survivors in the city and destroy those responsible (chemicals + villains and missing heroes = interesting). I think the video game world wants another western, ever since seeing how great Red Dead Redemption truly was. And Batman — whether you want to admit it or not — has a western feel deeply embedded in its DNA. Gotham is a town filled with lawless criminals and Batman is the sheriff who’s there to bring them all to justice. This isn’t the first time the idea of a cowboy Batman has been thrown around, of course. 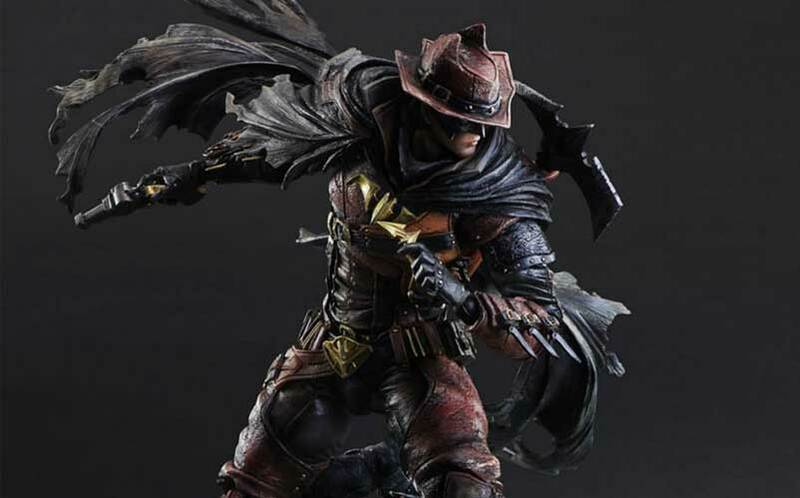 One of the coolest things we’ve ever seen regarding the subject came earlier this year when a Western Bats was unveiled as re-imagined by Play Arts Kai in their Batman Timeless Western Batman DC Variant figure. The idea of Batman being “timeless” is virtually limitless, and Batman could easily be brought to different time periods (or maybe not, given the demise of the Gaslight by Batman game). Although we’ve gotten about an hour’s worth of Batgirl play in the Arkham Knight DLC, it just wasn’t enough. In fact, it’s probably safe to say, if anything, the Batgirl DLC was a major disappointment because of its short length. 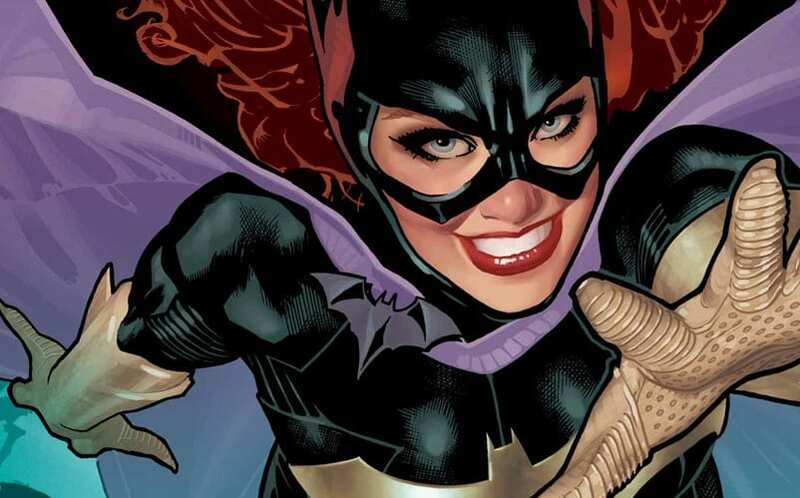 But Batgirl has had a significant following ever since Barbara Gordon was first introduced. I wouldn’t mind seeing a Cassandra Cain or Stephanie Brown Batgirl, either. But the events of Arkham Knight could set up the newly reinvigorated Barbara Gordon as Batgirl that Gail Simone is currently writing. This is why we wouldn’t be surprised if a Batgirl game were next. The idea for a Batman vs. Superman game could do two things: first, tie-in with the upcoming 2016 movie (which it’s too late for that now), and secondly, setup the groundwork for a Superman series by Rocksteady. A Batman vs. Superman game could be a lot of different things. It could give the user a choice to play as Batman or Superman to take down the other (thus virtually creating two games in one). It could take the form of two separate games that come out at the same time (like a Batman edition and a Superman edition similar to how Pokemon games are typically released). 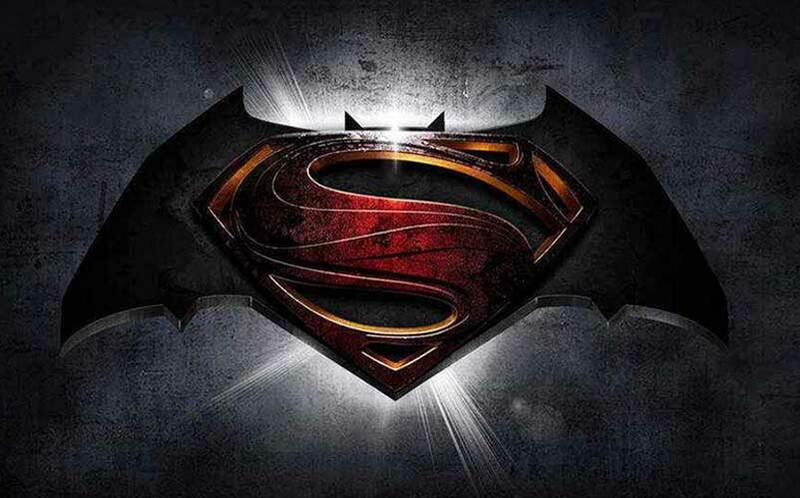 It could turn into a co-op game where Batman and Superman actually team up against Lex Luthor. Who knows, but it’s undeniable that Superman games need a quintessential version of the superhero, and why not piggyback off of the success of Batman games to create one. I didn’t know this until typing “Batman vs. Zombies” into Google, but there’s actually a crappy Batman vs. Zombies browser game already. Ha! Anyway, if there are two obsessions we as a nerd culture have, it’s Batman and zombies. 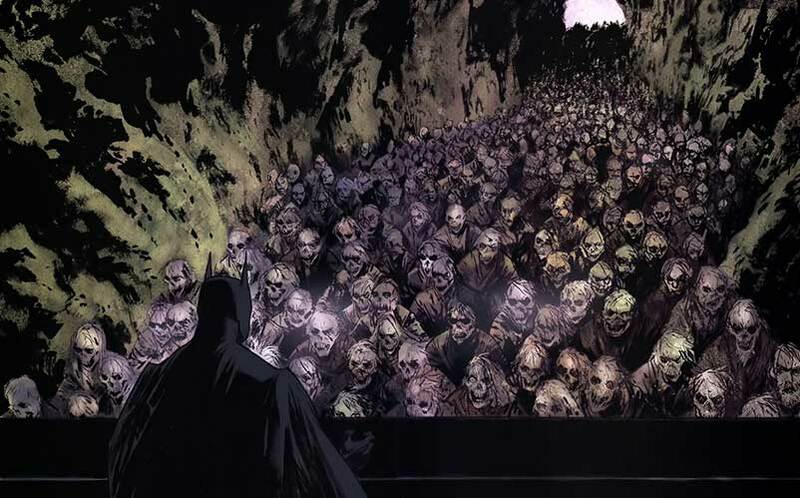 But what if Gotham City were overtaken by zombies, thus creating a zombie apocalypse that left Batman to defend the city. Running zombies over with the new tanky Batmobile? Count us in! It could follow the controversial Batman: Gotham County Line limited series written by Steve Niles in which Batman is sucked into some dark magic and dreams in which he’s pursued by zombies, and somehow gets trapped in between the living world and the dead. It follows Batman as he tries to get to the bottom of a series of grisly murders. I don’t know if a zombie Batman game could stand as a standalone game, but I could definitely see a sort of situation akin to Red Dead Redemption and Undead Nightmare where there’s an entirely separate game mode.